Automatic jeweling as well as fitting of other small pins and tubes into bridges and plates with Fleury machines. For elements that are more delicate the execution is made by hand in another workshop. 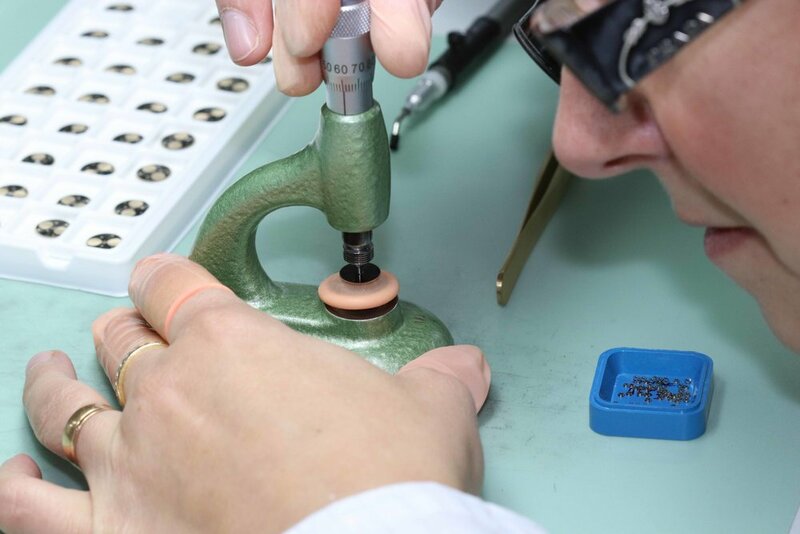 Manually setting jewels and other delicate components that can not be automated due to either the delicate nature of the piece to be added or the bridge or plate that is being worked upon. Followed by the assembly of the movement components that will then be completed in the stage T-one. The assembly of the moon phase disc and its canon.